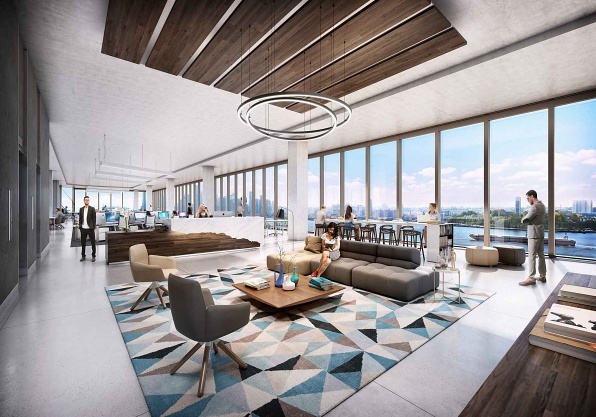 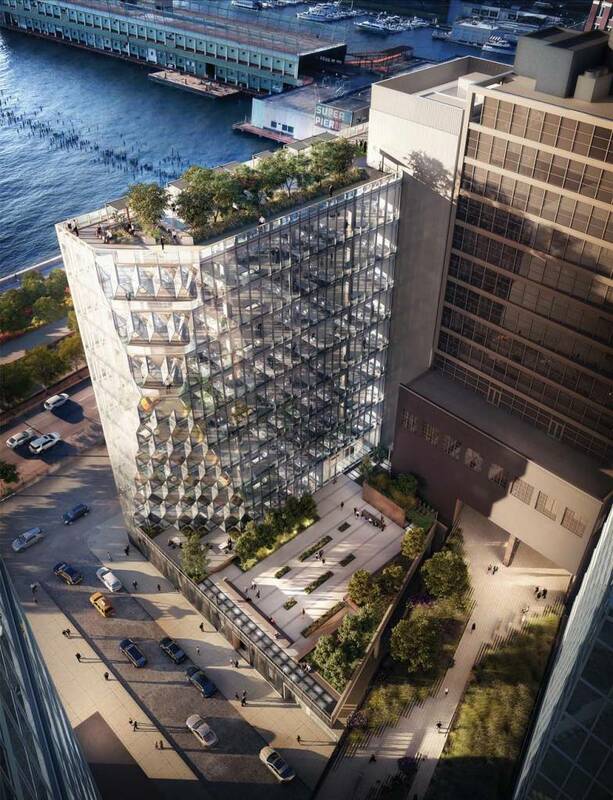 Sculpted by the angles of the sun, 40 Tenth Avenue explores how shaping a building in response to solar access and other site-specific criteria can expand its architectural potential. 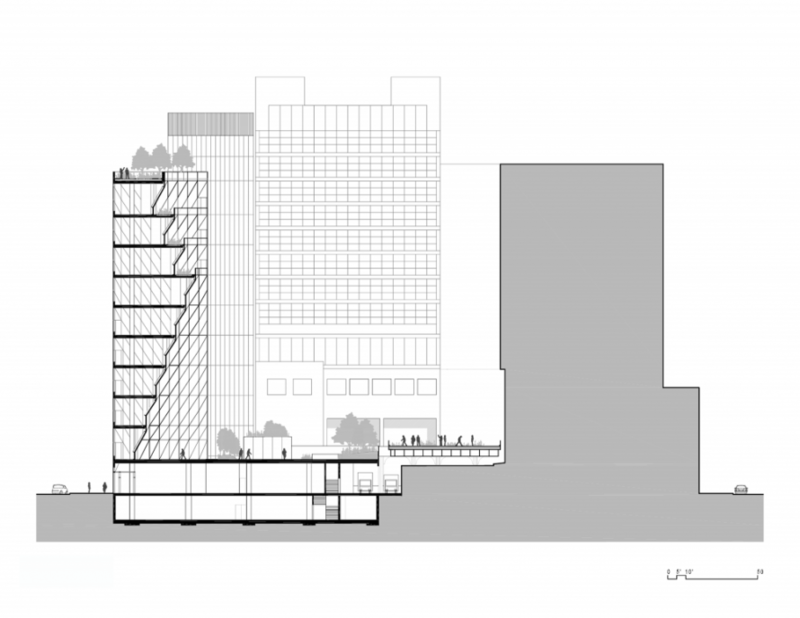 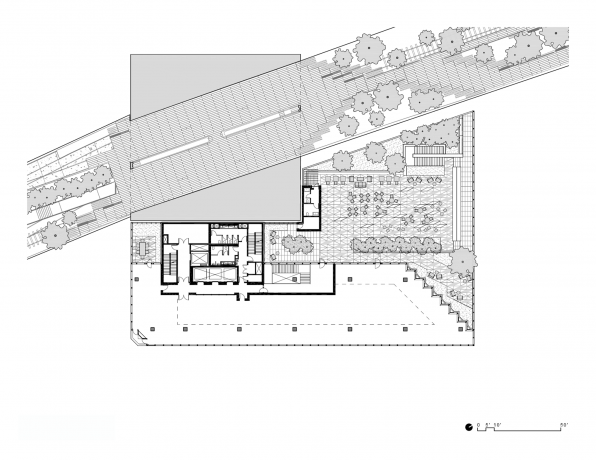 Located at the edge of Manhattan between the High Line park and the Hudson River, 40 Tenth Avenue takes its unique form from the geometric relationships between the building’s allowable envelope and the sun’s path, as well as the viewshed between the park and the Hudson. 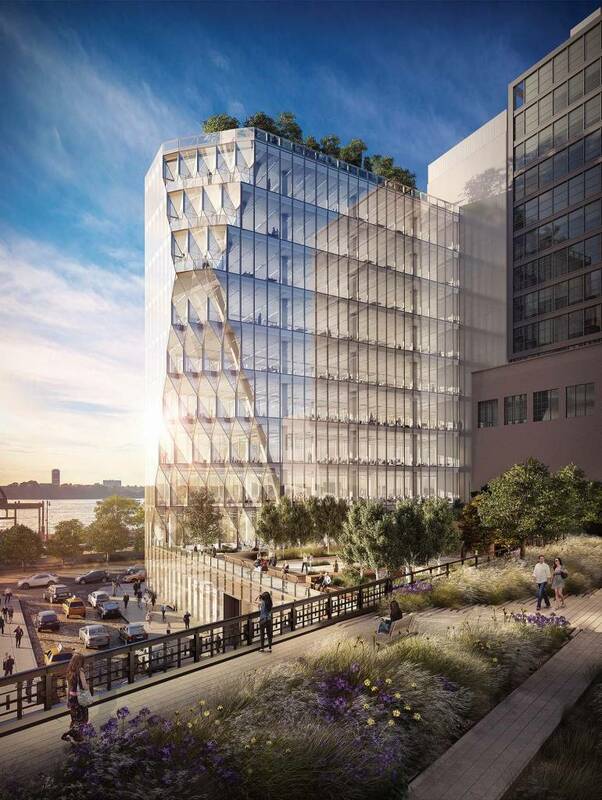 In addition to producing a faceted, gem-like facade, this integrated response allows the building to benefit the important public green space of the High Line—privileging light, fresh air, and river views to the public park—while also becoming a new iconic silhouette on the New York skyline. 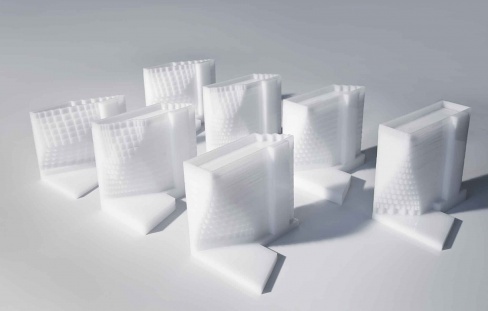 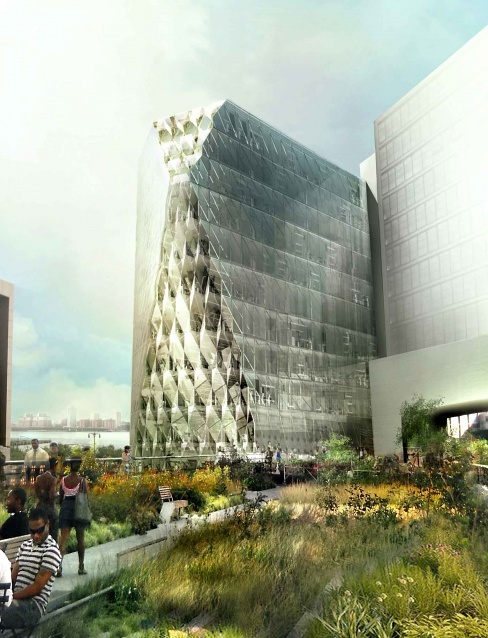 The design advances Studio Gang’s “solar carving” strategy for enhancing connectivity in tall buildings. 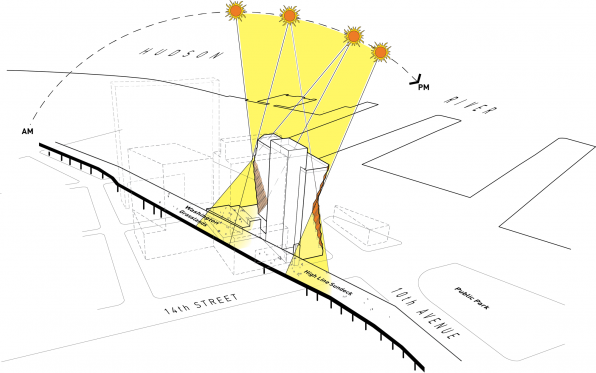 Developed through the Studio’s ongoing tall building research, solar carving involves using incident angles of the sun’s rays to sculpt a building’s form. 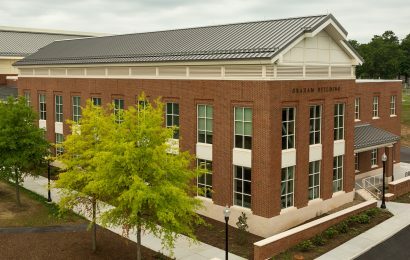 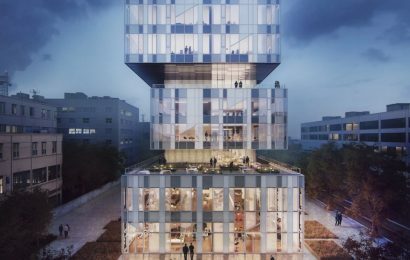 The glazing system has been geometrically optimized into a pattern of three-dimensional facets that articulate the carved sections of the tower. 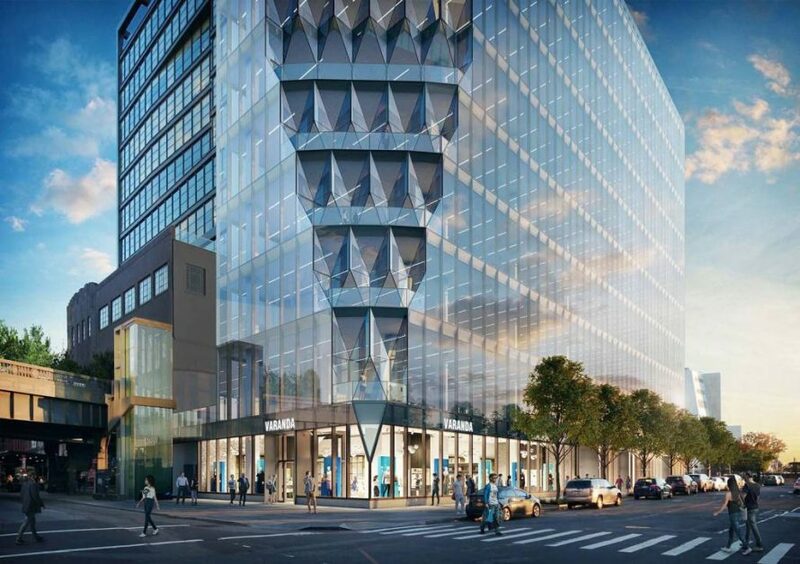 The curtain wall unit is composed of a central diamond-shaped panel tiling downward, surrounded by four triangular pieces that are perpendicular to the slab to achieve standard stack joints. 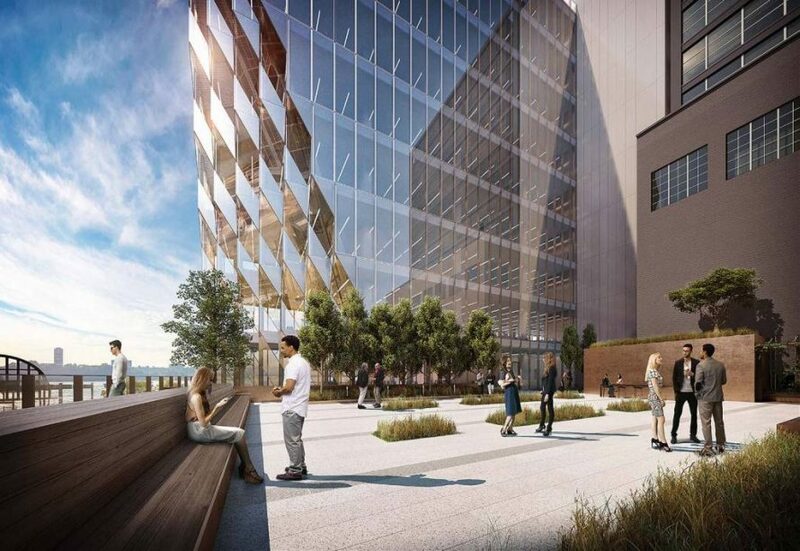 The carved curtain wall not only blocks sun glare and heat gain but also creates dynamic corner workspaces. 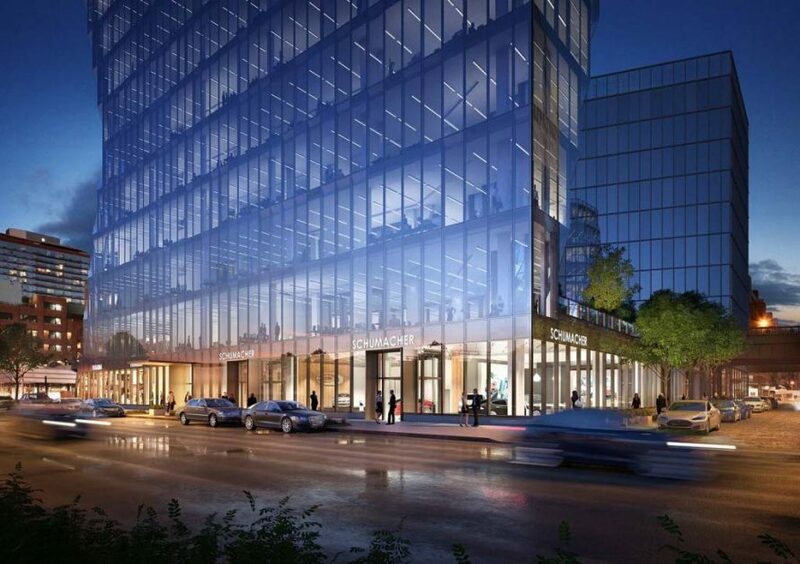 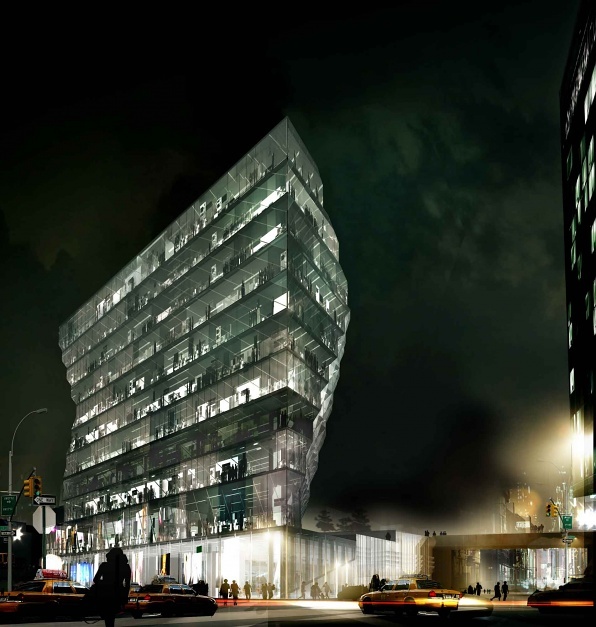 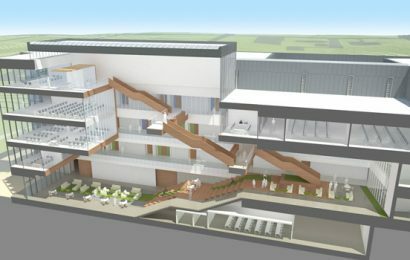 The facade will feature high-performance glass with low reflectivity. 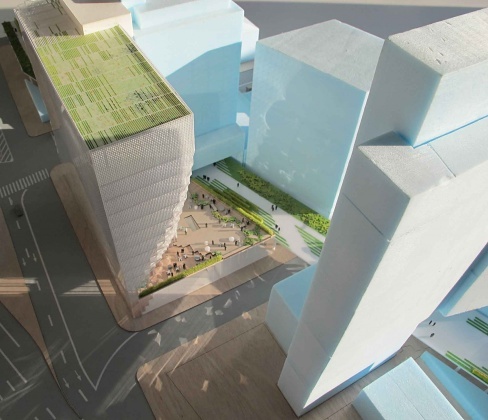 Iterative models were used to study different options for the building’s massing and to identify the form that would best benefit the public green space of the High Line. 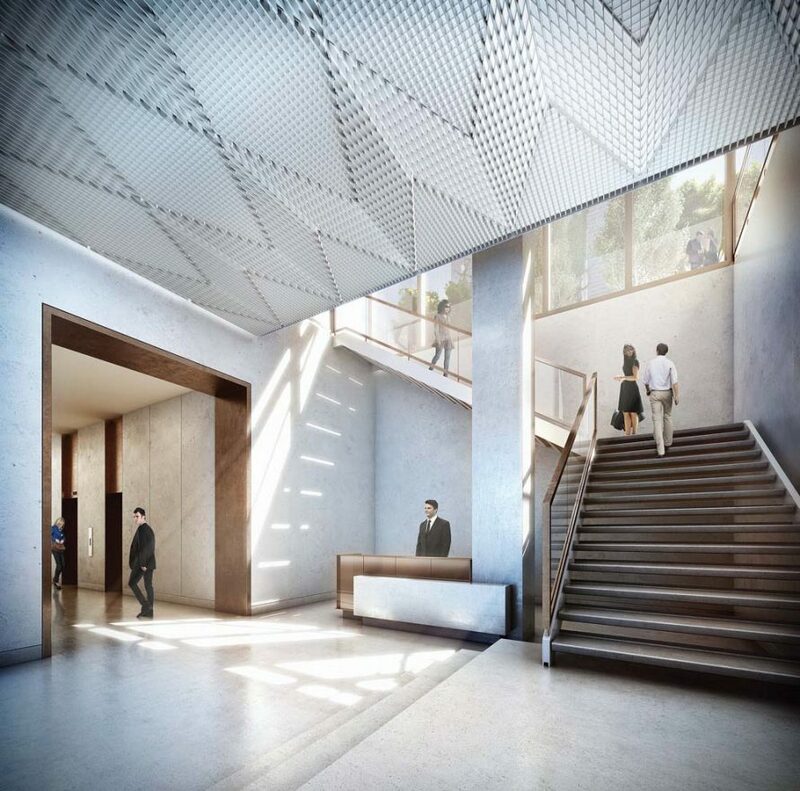 The lobby’s dynamic ceiling and open stair draw people up to enjoy the outdoor terrace on the second floor.